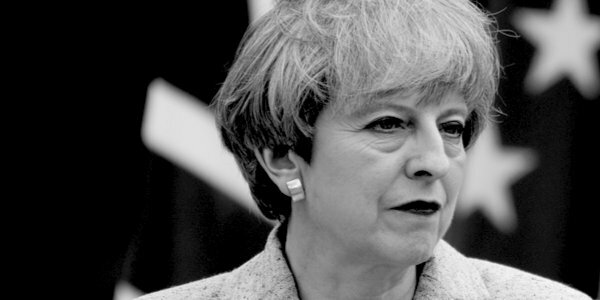 There have been endless calls in the last year for Theresa May to be given the boot, the latest of which was TCW’s own decisive poll with 95 per cent of respondents saying she should go. The likelihood, even now, is that May would win that vote of no confidence, and so would stay in post. In times past a leader would be expected to resign if the confidence vote did not result in an overwhelming victory, but given the Brexit situation, and the way May has clung on to the leadership no matter how bad things have got, I think we can forget that. But here’s the worst part, the bit that every commentator is ignoring, or is ignorant of. If May wins the confidence vote, she cannot be challenged again for a full year. This is made clear here (see page 8). MPs know this even if the Twitterati don’t. Twelve months’ grace, and there won’t be a thing the Brexiteers can do during that period to stop her doing what she wants. This explains the otherwise puzzling question of why the Brexiteers have not got those 48 letters in, even though (despite the party being dominated by remain MPs) they have enough people onside – 139 Conservative MPs said they would be voting to leave. A leadership challenge has to knock May out first go, otherwise it will only make things worse. A May who wins the vote will be re-strengthened, and could even be encouraged to sack most or all of the Brexiteers from the Cabinet. This, I believe, is why they’re waiting – they’re waiting until things get really bad, so bad that even spineless, centrist Conservative MPs will have had enough of her. Admittedly it’s hard to see how the Brexit situation can get much worse. The fact that the Brexiteers haven’t acted by now doesn’t give one much confidence that they ever will, as David Davis’s threatened resignation illustrated so well. There is one thing that would make it more likely that May would lose a confidence vote, and that is if the Tories slip in the polls. The latest YouGov poll for The Times gave the Tories a seven-point lead, the largest since the election. Many Tory MPs are okay with May while she is keeping them ahead of Corbyn. Equally, as has been mentioned on this site, they’re afraid of what could be unleashed if May is deposed (possibly even another early election). Once it looks as if she won’t be able to beat Corbyn, that is when they will most likely turn on her. A downslide in the polls could definitely happen, but only once the wider public realises what is going on with Brexit, and that still could take a while. The Tories are past masters at fudging their way out of trouble. In fact, the polls might not go down at all, especially now that the Daily Mail is replacing outgoing editor Paul Dacre with an arch-Remainer. Meanwhile the fear of Corbyn could keep May buoyant for as long as Labour remains hard-Left. So we may be waiting for those 48 letters for quite some time yet. (It’s even possible that 48 supporters of May could call for a confidence motion in her before 48 Brexiteers do.) Or for ‘the men in grey suits’ from the party hierarchy to pay her visit.